There is a debate about bringing the language of Informed Consent Forms (ICFs) down to a level that is more universally understandable. If English speakers struggle to understand the language of Informed Consent Forms, imagine the difficulty that exists for people with limited English proficiency (LEP). The US Food and Drug Administration (FDA) (21 CFR 50.25 and 21 CFR 50.27) and the US Department of Health and Human Services (DHHS) (45 CFR 46.116and 45 CFR 46.117) both require Informed Consent Forms be translated for all LEP patients. The regulations state that informed consent information must be given in a language that is understood by the patient or study subject (or authorized representative) and that for most situations informed consent be given in writing. In any United States population, there are a number of people who do not understand spoken and/or written English. However, these same people may potentially provide value to research studies, providing information and insights that may not otherwise be discovered without the inclusion of these LEP populations. The best (and indeed required) way to include LEP individuals in any study is to provide translations of Informed Consent Forms. Additionally, any patient undergoing a medical procedure must understand the ICF they sign for that document to be valid. Keep reading for a definition and 6 things to know about translating Informed Consent Forms. Informed consent is seen as an ongoing interactive process that gives participants (and potential participants) of any study information for them to be able to make an educated decision about whether to enter or continue with a trial. Participation in anyclinical trial study is completely voluntary. Informed consent must also be given by patients agreeing to undergo a medical procedure. Informed consent is officially documented by having participants or their authorized representatives sign an Informed Consent Form. 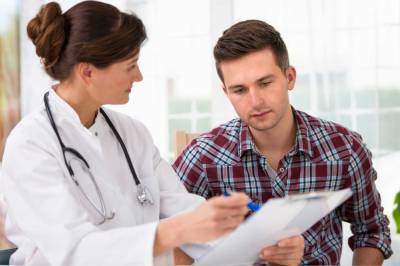 The Informed Consent Form must clearly describe the study or procedure in a way that is understandable to the participants. An ICF must include a summary of the procedure or study, its purpose, duration, procedures and schedule, any potential benefits and/or risks associated with the study or procedure, alternatives, the rights and responsibilities of all involved with the study or procedure (including the participant, study administrators, sponsors, etc. ), and an Informed Consent Form must document the participant’s consent or agreement to take part in the study or procedure. There are two parts to any Informed Consent Form—the information sheet and the certificate of consent. The participant is to receive a copy of their consent document and the information that accompanies that consent form. There should be no pressure or haste in getting participants to sign an Informed Consent Form. Subjects or participants in a study should only sign an ICF once they completely understand the details of the study or procedure and agree to take part in it. Informed consent must be given prior to any research study. Informed consent is seen as an ongoing process. Also, after signing an ICF, subjects are free to opt out and change their minds at any time if they wish to leave the study. Informed Consent Forms are typically used by physicians, hospital management systems, medical clinics, healthcare organizations, in clinical research and by pharmaceutical companies. 1. The Institutional Review Board (IRB), The Clinical Investigator, And The Research Sponsor Are All Responsible For Informed Consent. The Institutional Review Board (IRB), the clinical investigator and the research sponsor are all responsible for informed consent. The clinical investigator or licensed physician investigator is responsible for getting the informed consent from the study subject and is responsible for the informed consent even if someone else interacted and obtained the informed consent from the participant. An investigator may be assisted by study nurses or study staff in obtaining the consent, but that does not negate the responsibility of the investigator of getting that consent. When consent interviews are given in English then the Informed Consent Form should be given in English. If these interviews are given in a language other than English, then the Institutional Review Board (IRB) most likely will require that the Informed Consent Form be translated and given to the subject. If the individual can read and understand English at the sixth grade level or higher, then they do not need a translated version and the Informed Consent Form may be administered in English. If the individual cannot read English, but understands spoken English, then it is possible to have someone read the Informed Consent Form to them with a witness present and then document their ability to understand with signatures from the individual, the person reading the form and the witness. If the individual cannot read English, but is fluently literate in another language, then a translated version of the Informed Consent Form and all accompanying information should be given to that individual. If the individual cannot read or understand written or spoken English, and also cannot read the alternate language, but understands it orally, then the translated version of the Informed Consent Form should be read for that individual and the use of the alternative language orally should be documented. In this instance a witness should also sign the form along with the subject and the person acquiring informed consent. It is also important to note that sometimes a short form of the informed consent form may be translated and given to the participant in place of the full version of the Informed Consent Form. A short form translation should only be given when there is little risk and a direct benefit to the participant in the study or procedure. Regulations state that Informed Consent Forms must be in language that the participant understands. This means it must be written clearly in plain language. When translated, ICFs must also be in plain language in the target language. This means that having a high level surgeon or specialist doctor perform the translation is not necessarily the best choice. Perhaps a better choice for translating these patient-facing documents would be to have the Informed Consent Form translated by an RN or individual with a Master’s of Public Health who has daily interactions with patients and is used to talking with patients on a regular basis. In most instances the Institutional Review Board (IRB) must review and approve all translated versions of an informed consent form before it is used in a study. As part of the review and approval process and in order to satisfy most IRBs, Informed Consent Form translations must be submitted along with a certificate of translation accuracy. The Certificate of Translation Accuracy verifies that certified linguists were used and that a process (preferably a certified process) was employed while performing the translation. Back translations are often done when translating Informed Consent Forms to assure that the translation is accurate. If a clinical trial is complicated or has associated risk, the Informed Consent Form should undergo back translation as part of the translation process. Back translations provide an additional quality assurance step. Back translation involves taking the translated version of the Informed Consent Form and then having a separate independent translator (who has no knowledge of or contact with the original text) translate it back into the original language. A project manager will then assess the two versions to see if they are consistent and that nothing was lost in translation. Forward and back translations should all be performed by qualified translators, and sometimes both the forward and back translations are required to be submitted to the Institutional Review Board (IRB). While offering translated Informed Consent Forms is a good step towards providing information that the study participant can understand, it is also important to have someone from the study available to answer any questions. If the participant speaks another language then provisions should be made to have an interpreter or someone who speaks their language available. The person interacting with the participant and getting their consent should be able to discuss the study and answer questions. Further, elements required for Informed Consent Forms that must be included are a specific person, telephone number and contact information of someone involved with the study to answer questions regarding participant rights, injury and the study or procedure itself. Participants must know who to contact when different issues come up, and contacts should be able to communicate in a language participants understand. In summary, Informed Consent Forms are required for any study or medical procedure. When encountering individuals with limited English proficiency, provisions should be made to translate Informed Consent Forms, to provide interpreting and to make accommodations for including those LEP individuals. If this blog has helped clarify Informed Consent Form translations, please like and share it with your network. Would like to find out the cost and time required for translating an IRB-approved consent form. Please email me, so that I can send you the consent form.